Purple Caper - Gorilla Glue BX. Free US delivery. 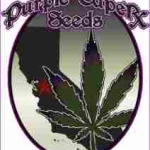 Gorilla Glue BX from Purple Caper Seedsi s a powerful, productive and full flavoured cannabis plant from California that will leave no one indifferent. 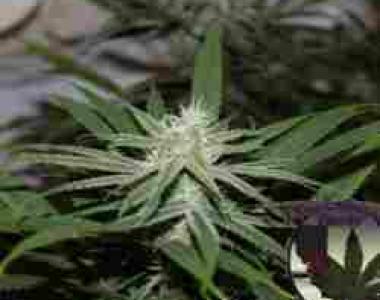 This clone-only cultivar quickly became popular in US cannabis dispensaries, and is now available as regular seeds so that each grower can select his own GG or Gorilla Glue mother plant for future clones. With vigorous and well-branched growth if sized, it can be grown in SCROG as in SOG, adapting well to all currently available systems and cultivation methods. During the 9 week flowering period, we will be able to observe the characteristics of the Gorilla Glue with this backcross. It is a large yielder of both resin and flowers, which makes it a great candidate for resin extractions of all types, and can give returns of up to 20% in BHO extractions. Its effect is powerful, balanced and relaxing, with floral and citric aromas like lemon and candied fruit on a Diesel background. It is a highly flavoursome cannabis variety, with a great taste, potent effect, huge amounts of resin and a large yield of flowers.